Our symbolical journey along the path of the Zodiac has led us past the awesome countenance of the Sphinx and through the disciplines to be learned during the Virgo period which it opens. Now we face the mysterious structure known to all under the name of the Great Pyramid. Into this structure is stamped the significance of the cosmic reality of the zodiacal Sign, Libra; the significance of the fall equinox and of the ascendancy of the Night-force, victorious over the Day-force. In Libra, Leo's self-assertion and Virgo's self-criticism are reconciled and overcome through self-consecration to Humanity. In this consecration the self remains, but no longer as a master, not even any longer as a critic or a servant. The self remains as a focused lens in and through which the light of the Whole operates, urging all men to become participants in the total organism of Humanity. A participant: a man of action, who works consciously for the triumph of the universal Will over the narrow power of particular egos. Libra is the birth of the individual unit into the Greater Whole in which he is thenceforth to operate as a cell. The fall equinox marks the decisive triumph of united action and social-cooperation overindividualistic self-expression and emotional self-centeredness. It is not yet a final victory; just as the spring equinox does not mean the ultimate phase of personality-building. But, after Libra, the goal ahead should become clear. Vision and understanding are there to be had by every true seeker. New energies are being aroused, energies that are the products of group-cooperation and social interchange. New vistas are revealed, new goals more or less clearly outlined. The walls of the fortress of self are � at least theoretically � broken. The life within should be able to combine freely with the life of the companions who eat of the same bread of consecration to the welfare of the Whole; yet who also are ready to fit into a hierarchical pattern of group organization. The three phases of the process which leads from the fall equinox to the winter solstice parallel rather closely the sequence of development symbolized in the zodiacal Signs, Aries, Taurus and Gemini; but now it is no longer a process of building up of personality, but one devoted to the growth of society. Socializing forces are surging with ever-increasing momentum. The still scattered individuals are swept by their tide. The entire purpose is that of making more valid, more actual, more tangible the reality of human interchange, the reality of the community, the reality of living together within an organic, stable, permanent structure of communal behavior (Libra). Out of such living together, the energy born of communal feelings and realizations (Scorpio) and the vision born of communal thinking (Sagittarius) will progressively emerge � and finally the completed social organism, the perfected State (Capricorn). Libra is a cardinal Sign and, thus, in it values of activity or behavior are stressed. 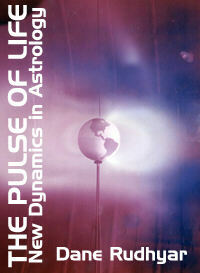 The momentum of the social process dynamizes the consciousness of the Libra type. There is great social eagerness, a vital sense of dependence upon social values. This is not the Leo type's dependence upon fame or applause, which was born of unacknowledged social insecurity turning into bravado. The Libra type has developed, for the first time in the zodiacal sequence, a real sense of social value; but just because social values have become so real, so important to that type and because, at the same time, his feelings and emotions are still strongly conditioned by the individualism of the Day-force, the Libra native has a tendency to exaggerate the importance of social factors. Just as the Aries type becomes aggressive and arrogant in his eagerness to establish himself as an integrated personality, so the Libra type will go out of his way to prove more than is necessary his social sense. He will sacrifice himself � at least he will act as if he did � rather than feel he might be negligent in his social or group obligations. The socializing urge haunts him just as the personalizing urge haunts the Aries type. And yet he is not really sure of himself in social or group activities. He always feels that somehow he could easily revert to individualistic desires; that be has to cover up the possibility of that reversal, to make up for it, to invent stories and stage attitudes to assure his companions � and himself! � that he belongs to the group and the group acts through him. It has been said that the Libra type is opportunistic, changeful and unreliable. But these are only surface characteristics. The real � because the psychological � reason for these Libra traits is that the Libra person is willing to do anything to fit in with what a group or collectivity expects of him, with what he thinks the group might expect of him. This makes him changeable and unreliable in surface decisions. It gives him at times the appearance of a chameleon � the symbol of all opportunists � changing his color to fit the situation and, better still, to merge into situations. This "merging into situations" is really the essence of the Libra behavior. But underneath it there is a very great individual pride and susceptibility, a sometimes borrowing sense of his inability to perform adequately the task he has set for himself � whether in his family or his social life.